MIAMI - A high-speed chase that started in West Little River on Thursday afternoon involved a car crash in Miami's Liberty City and a stolen vehicle, according to the Miami-Dade Police Department. Detectives started to follow Tyrell Smith, 33, of Miami, and Alex Brown, 29, of Miramar, at Northwest 79th Street and Northwest 30th Avenue, according to Detective Chris Thomas. The suspects were in a vehicle connected to several robberies, burglaries and thefts. The driver sped away from police officers near the Flea Market USA in West Little River and crashed into several vehicles about 4:30 p.m. at Northwest 46th Street and 12th Avenue. The men jumped out of the car and stole 29-year-old Ashley Horton's car, Thomas said. They didn't get very far. Police officers arrested them at Northwest 51st Street and 12th Avenue. 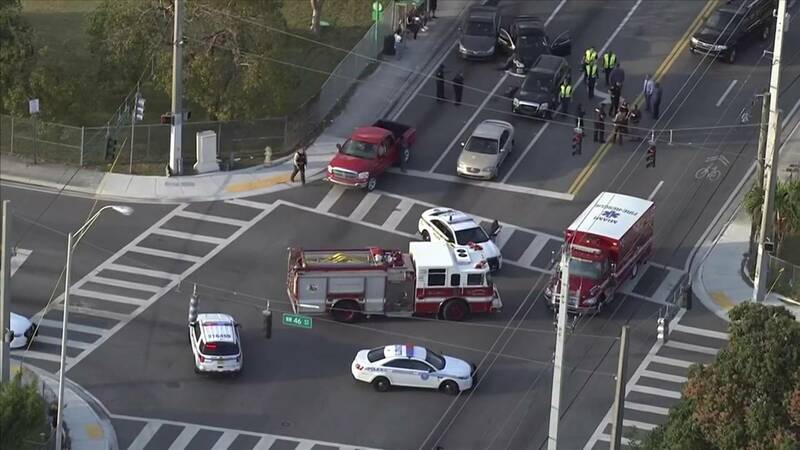 Miami Fire Rescue responds to a multi-vehicle crash at Northwest 46th Street and 12th Avenue in Miami's Liberty City. None of the drivers of the other vehicles involved in the crash were seriously injured. Detectives later found several items belonging to victims of previous crimes inside the crashed car. Smith was injured in the crash, so he was taken to Jackson Memorial Hospital to be treated. Police officers arrested two suspects in the area of Northwest 50th Street and 12th Avenue in Miami. 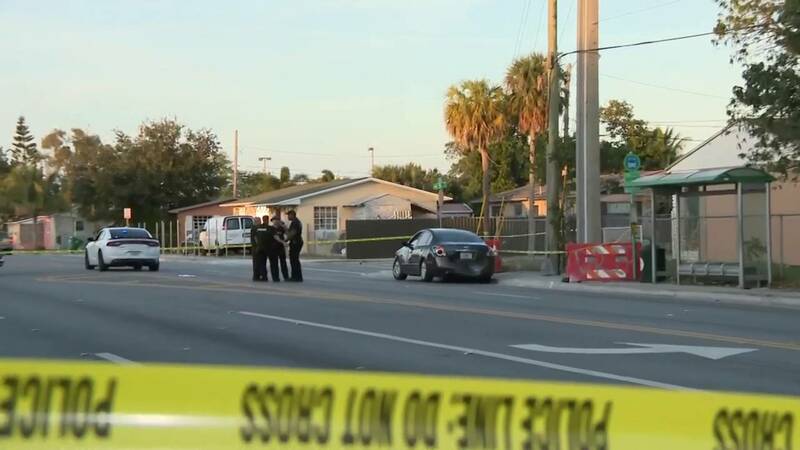 As detectives from two police departments continued their investigation during rush-hour traffic, Miami police officers closed 12th Avenue from Northwest 46th Street to Northwest 54th Street. Charges against Smith and Brown were pending late Thursday night.